In the news: "No New Smell Cells" by Tina Hesman Saey ScienceNews May 23, 2012 SP3490 Human olfactory system. Computer artwork showing the olfactory bulb (top) full of olfactory neurons (nerve cells), and an olfactory receptor cell (yellow, vertical). The olfactory bulb is situated in the forebrain (prosencephalon). 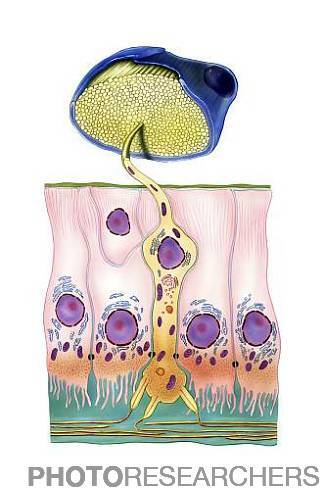 It has many olfactory receptor cells that project into the epithelial lining (pink) of the nasal cavity. The receptors (bottom, long, thin) embedded in the membrane of the receptor cells pick up smell information from molecules inhaled through the nose. This information is transmitted to the olfactory bulb and sent as a nerve impulse to the brain. Credit: Bo Veisland / Photo Researchers, Inc. In the news: "Pain-Killing Transplants" by Ed Yong TheScientist May 23, 2012 SL8833 Neck pain. 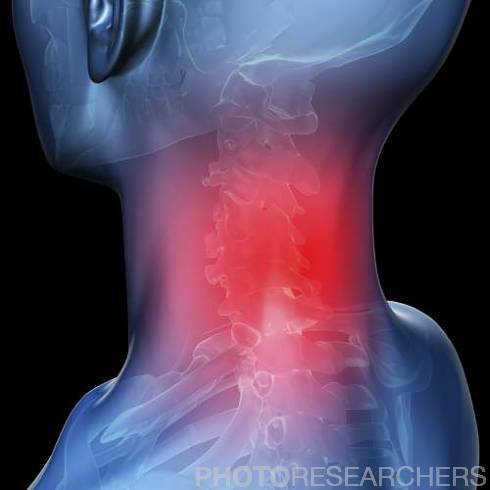 Conceptual computer artwork showing pain (represented as the red area) in the neck. The skull (top), upper spine, ribs and collarbones are shown within an outline (blue) of this part of the body. 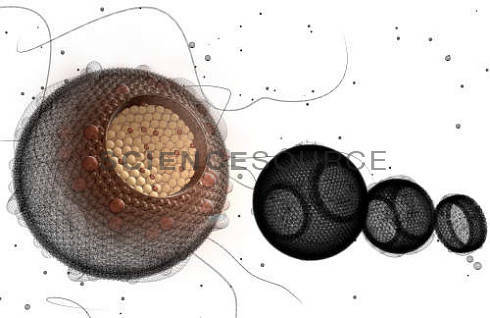 Credit: David Mack / Photo Researchers, Inc.
RA0723 The transport of cholesterol via high density lipoproteins (HDL) in the blood. Credit: MedicalRF / Photo Researchers, Inc. Needles: Less Painful When You Look Away? S8107 Fear of injections. 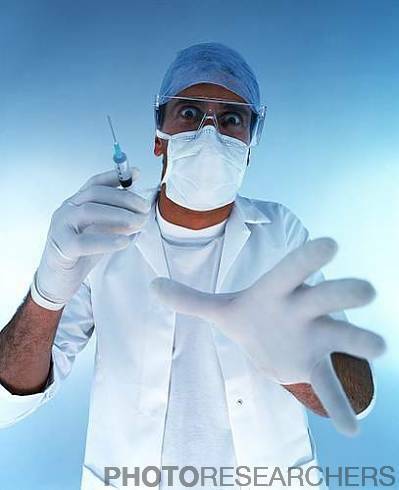 Conceptual image representing a patient's fear of injections. The masked doctor is reaching out to the patient with one hand and holding a syringe in the other. 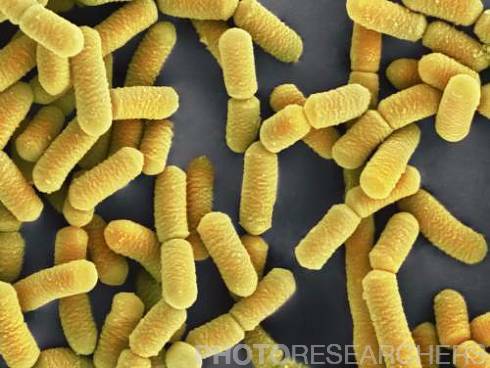 Credit: Gusto Productions / Photo Researchers, Inc.
SL5723 Lactobacillus sp. 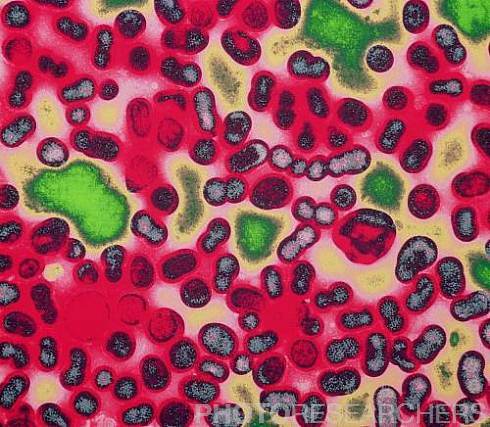 bacteria, colored scanning electron micrograph (SEM). Lactobacillus bacteria are probiotic bacteria, which are useful for human and animal health as they produce bacteriocins (toxins that kill off competitive bacteria), which prevents infection by pathogenic bacterial strains. They are usually added to probacterial foods such as yogurts and health bars. Magnification: x12,350 when printed 10 centimeters wide. Credit: Dr. Kari Lounatmaa / Photo Researchers, Inc. In the news: "Infections cause one in six cancer cases" by Elizabeth Landau CNN Health May 8, 2012 BD7344 A color-enhanced Transmission Electron Micrograph (TEM) of the Hepatitis B virus (HBV, Hepadnaviridae). 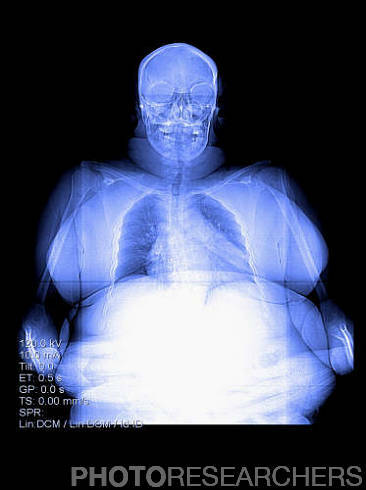 Credit: PHANIE / Photo Researchers, Inc.
BE6637 This color-enhanced frontal digital x-ray shows a markedly obese person. Credit: Medical Body Scans / Photo Researchers, Inc. It's a Bird...It's a Plane...It's Supermoon! 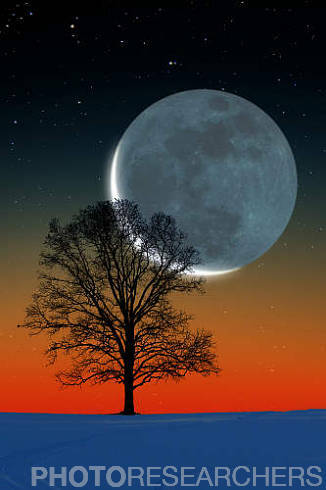 BT3663 A crescent moon rises behind a lone tree in this composite photo. The dark disc of the Moon is illuminated by earthshine (sunlight reflected from the surface of the Earth). 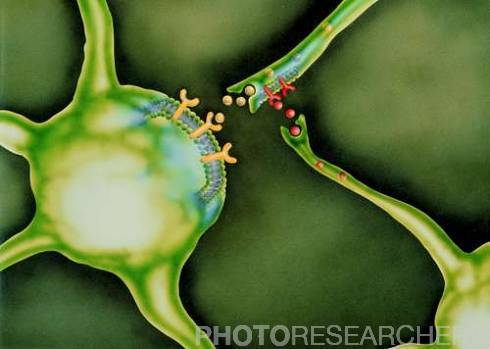 Credit: Larry Landolfi / Photo Researchers, Inc.
SA2240 The transmission of pain. Pain messages are transmitted through a peptide transmitter known as Substance P (yellow spheres) to spinal neurone cells in the spinal cord. At center left a spinal neurone has been opened to show the relation between the Substance P and its receptor sites (yellow c-shaped). At bottom right a spinal interneurone is just visible with a short axon terminating on an axon of the spinal neurone. Here receptor sites (red c-shaped) of opiopeptins (red spheres) are found. Opiopeptins are contained in analgesic drugs and may alleviate pain because they inhibit the release of the Substance P. Credit: Kairos, Latin Stock / Photo Researchers, Inc.